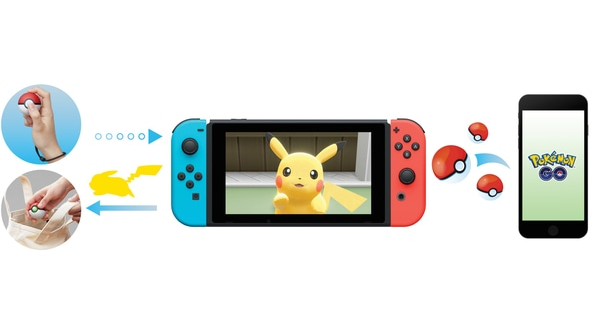 If you're thinking about picking up the Poké Ball Plus to play with Pokémon Let's Go Pikachu and Pokémon Let's Go Eevee! Then you might want to reconsider your purchase. Over the weekend, Nintendo hosted a competitive event in London called NintendoVSUK. While at the event, we were given the chance to try out Pokémon: Let's Go, Pikachu! and Let's Go, Eevee! Press were forced to use the Poké Ball Plus controller because Joy-Con support wasn't included in the demo. We tried out the small demo with the Poké Ball Plus device for around about an hour, and we were not impressed with the controller at all. There are problems with the controller that could be easily fixed by adding another button or changing a design aspect of the Poké Ball Plus. One of these is the analog stick. It's used to both move your character around in-game, but also as the main button by pressing down on it. By selecting the option with the analog stick, you then need to press the button to continue on your quest—sounds simple, right? When you go to press the analogue stick's button, however, you might accidentally move the stick at the same time, which causes your current selection to go to something else. This led to us choosing different moves that were ineffective to the opposing Pokémon far too often, as well as selecting the option to flee from a battles instead of switching out Pokémon. Motion controls are essential to playing the Let's Go games. 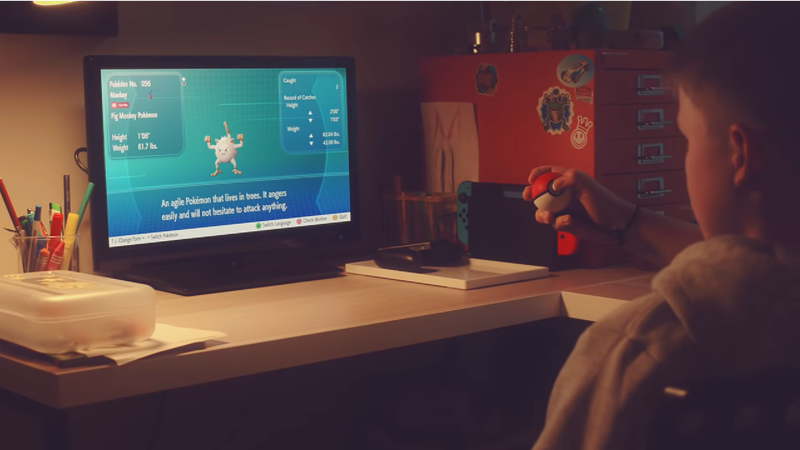 You need to physically "throw" (the motion, not the action—you don't want to actually toss your controller across the room) your controller forward to catch Pokémon that are trying to move and dodge your throws. So if the controller cannot deliver good motion controls, it could potentially ruin the entire experience. The Poké Ball Plus isn't really that responsive when you try to throw the ball toward the screen in the palm of your hands. Every time we tried to tilt the Poké Ball Plus to have it throw a Poké Ball at a moving target, it would take a second for the movement to be detected before finally throwing the ball. The device has been made with children in mind and is about the size of a golf ball. Any adult trying to use the Poké Ball Plus as a controller might find it difficult to hold, especially if they have big fingers, due to the tiny buttons. It's also useful for anyone that doesn't have a Pokémon Go Plus device as trainers can use it for both the Pokémon Go and the Lets Go series. The ability to feel the Poké Ball rumble in your hand and light up as if it was capturing a Pokémon is entertaining and hearing the sounds of all 151 Pokémon in the ball's in-built speaker is fun at times. That said, it's still hard to justify paying $49.99 for a product that doesn't really work.